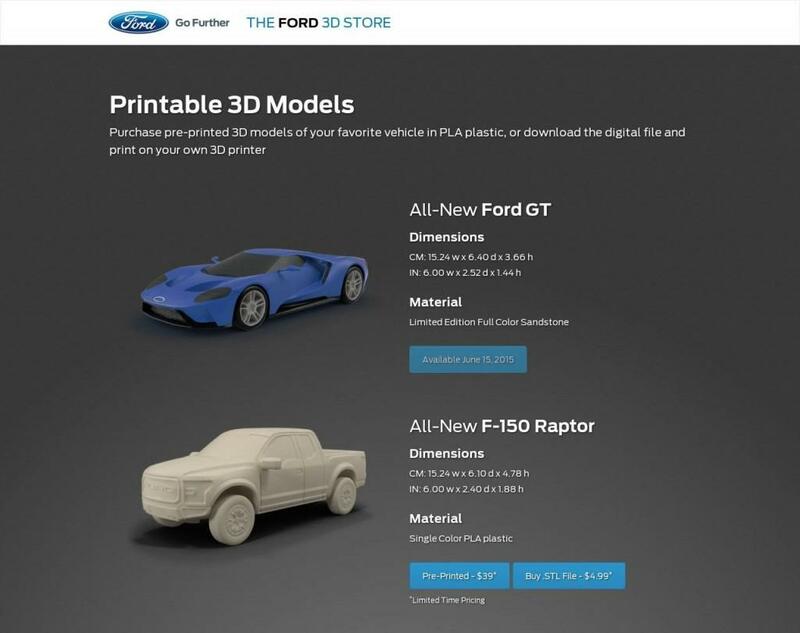 Most recently, it seems this technology arena has entered the “trough of disillusionment,” as 3D printing stock prices have taken a hit. But the fact remains: this exponential technology is still in its childhood and its potential for massive disruption (of manufacturing and supply chains) lies before us. 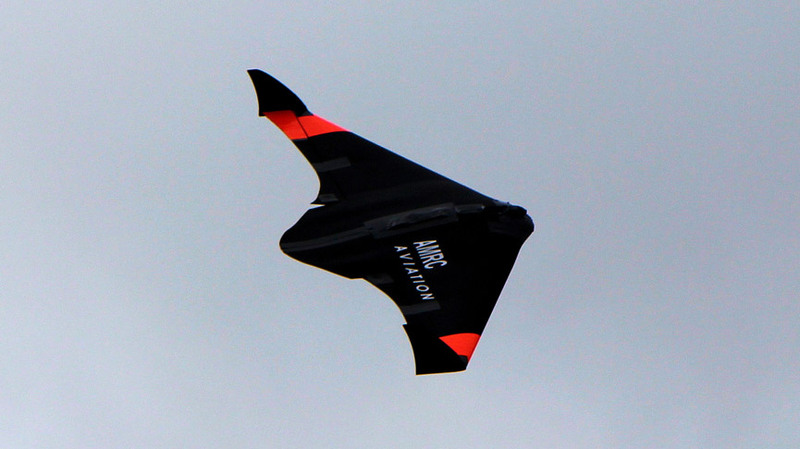 Carbon fiber-reinforced plastic printing uses highly energy-efficient manufacturing techniques created at Oak Ridge National Laboratory. I’m not sure how this flew under our radar, but at this year’s Detroit Auto Show, back in January, the Department of Energy showed off an electric vehicle they’d 3D-printed out of carbon fiber-reinforced plastic. 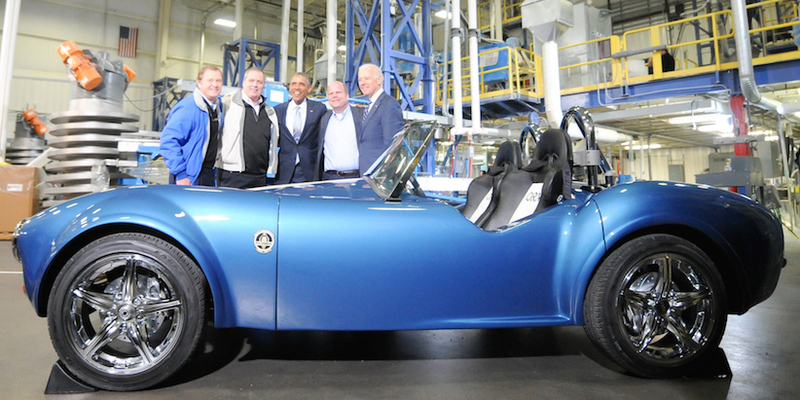 It was inspired by the iconic Shelby Cobra, but it most definitely wasn’t a replica. 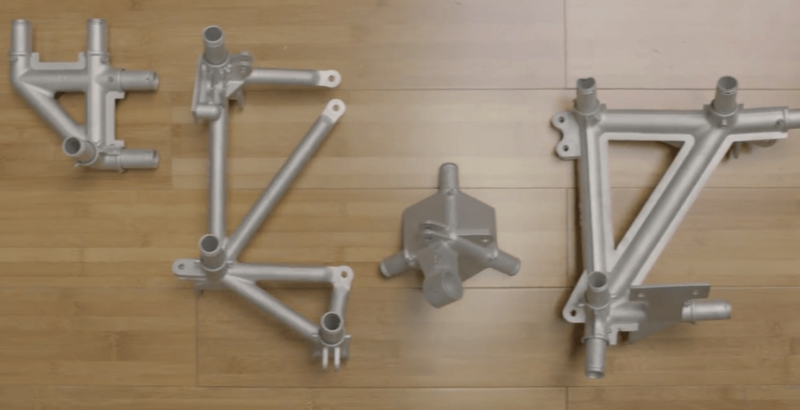 The folks at the Oak Ridge National Laboratory put it all together, to show off their Big Area Additive Manufacturing technology that could allow for rapid prototyping to fully move out of the clay-model era. 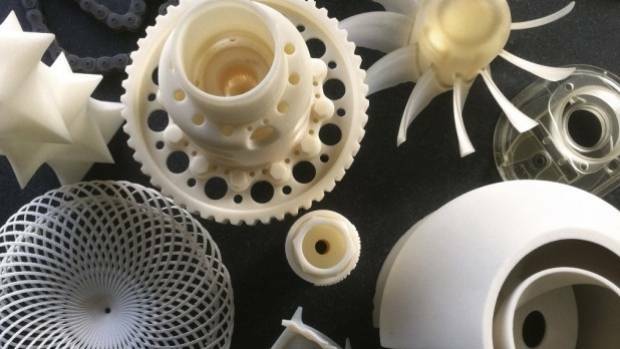 The spokesperson for ORNL claims that their improvements on 3D printing with these materials substantially reduce energy use, and allow for energy-absorbing structures to be printed—technologies they think could prove revolutionary to the transportation sector. 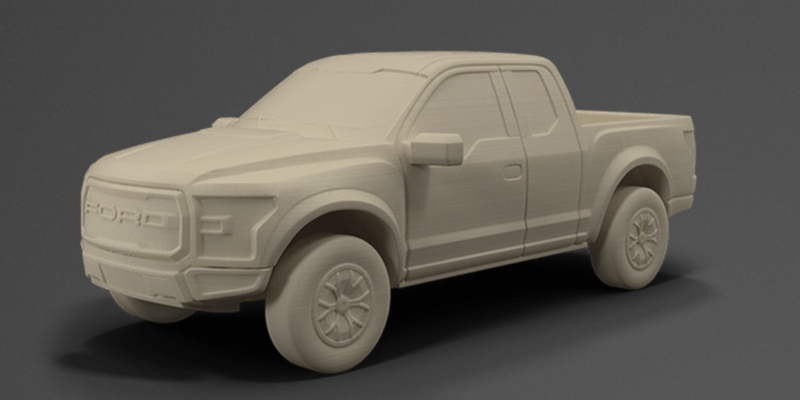 3D printed a full-size working car ! 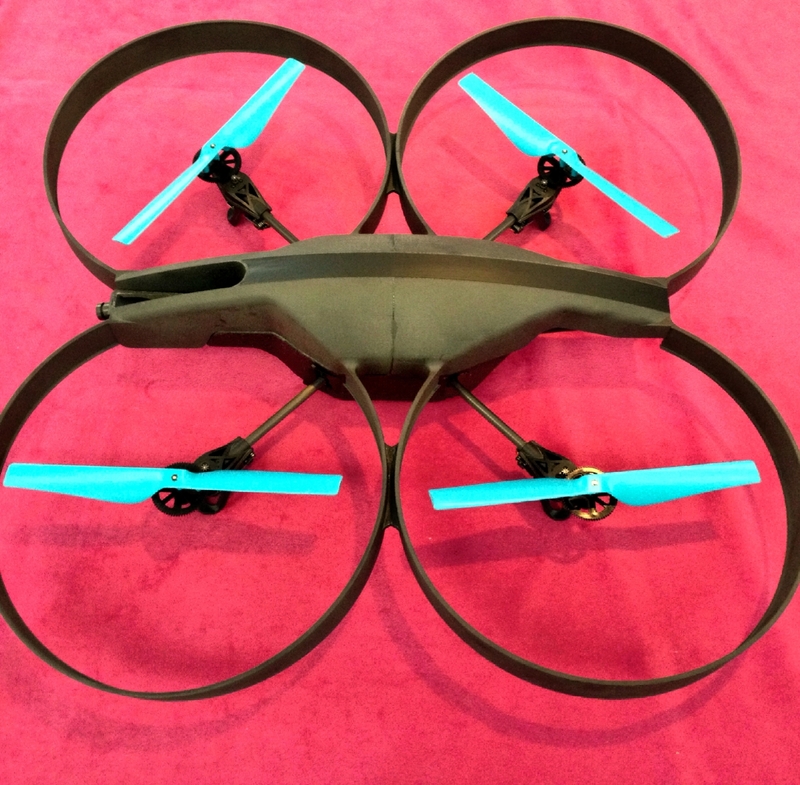 3D printing is going big, not just in a metaphorical sense. 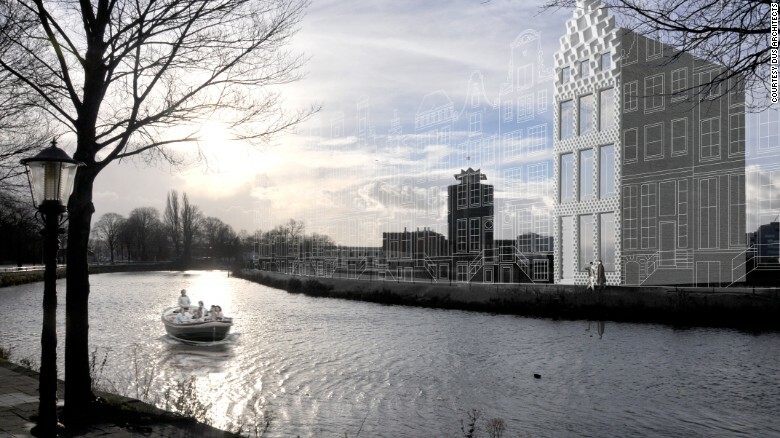 We have seen 3D printed buildings and cars begin to emerge as innovators look to the potential that this technology could have in the future. 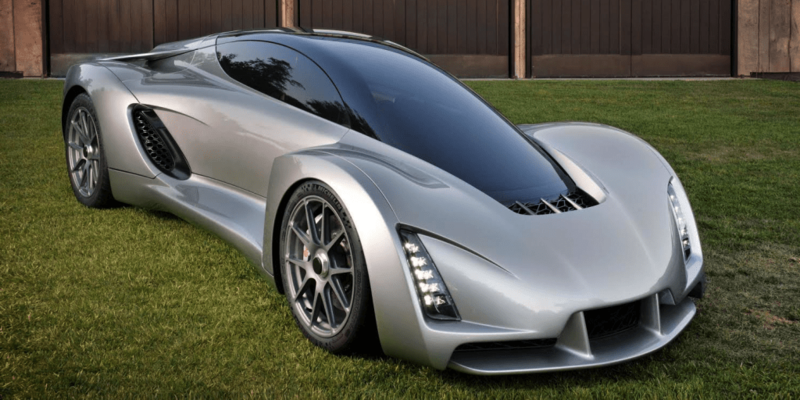 We saw the world’s first 3D printed car, the Urbee created in 2013. 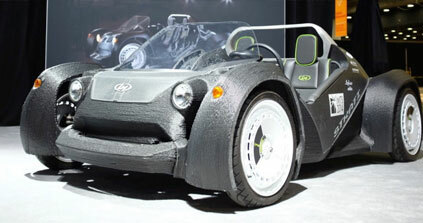 Then last year, a company called Local Motors surprised us all by 3D printing their Strati car in record time. 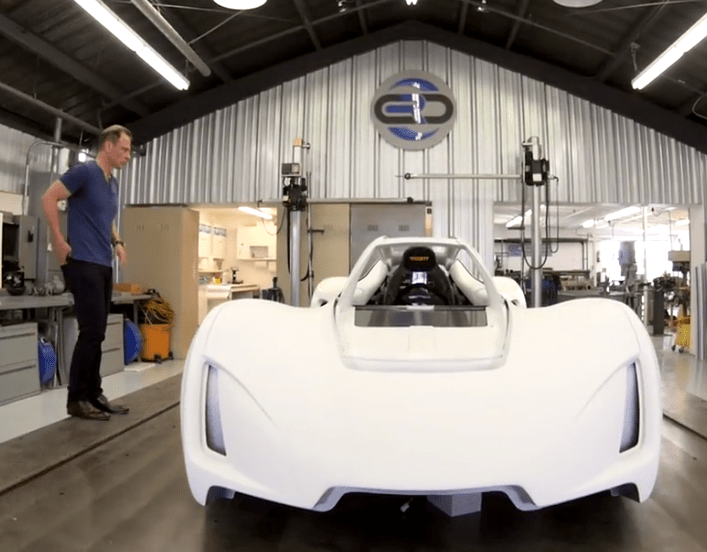 Since then, Local Motors has been quickly iterating upon the processes they use and have already accomplished the full 3D printing of the Strati in just 44 hours flat. 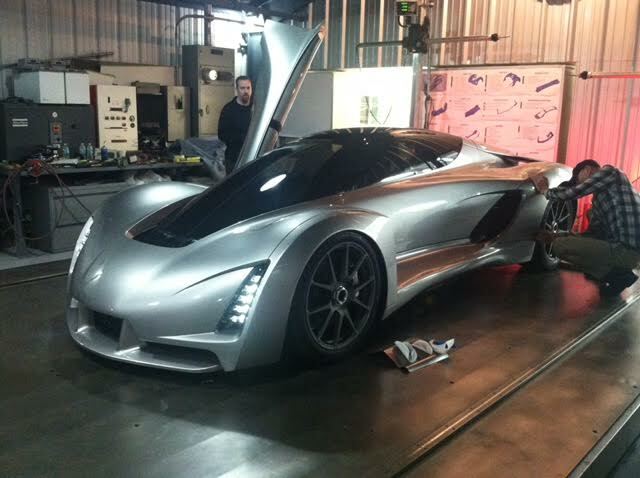 They are now in the process of opening up microfactories worldwide in hopes of 3D printing custom vehicles for clients. 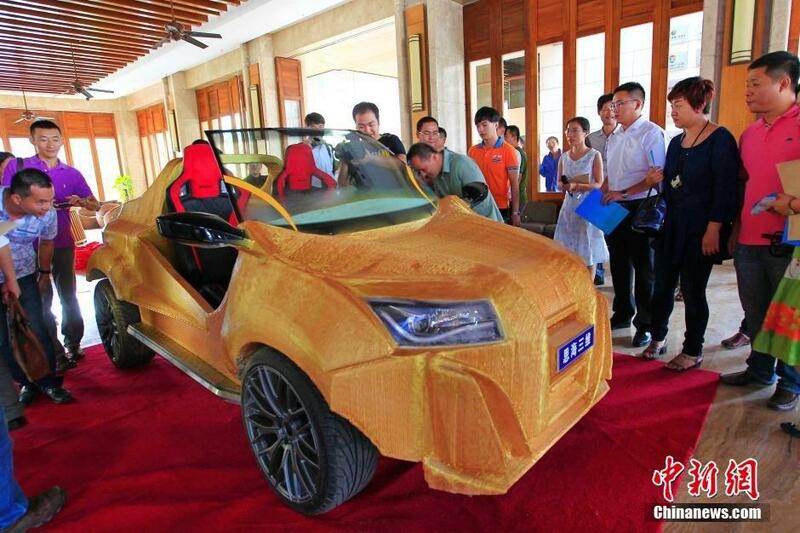 Now, one company based in Sanya City, China, called Sanya Sihai, has just accomplished the 3D printing of yet another car. 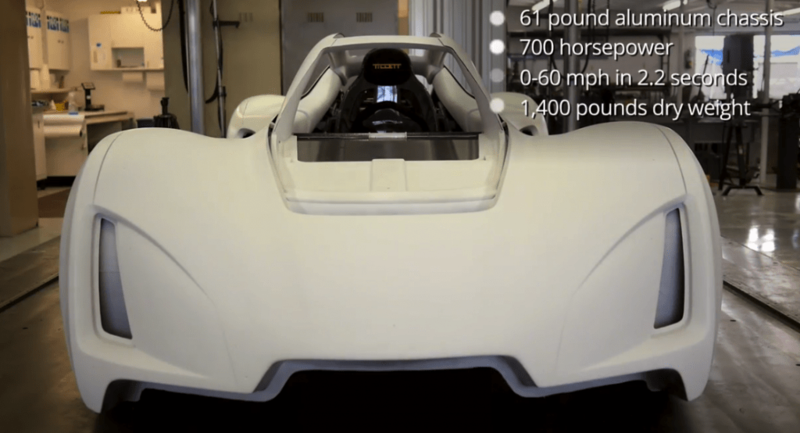 This car’s body weighs an impressive 500kg (1102 pounds) and is completely electric powered. 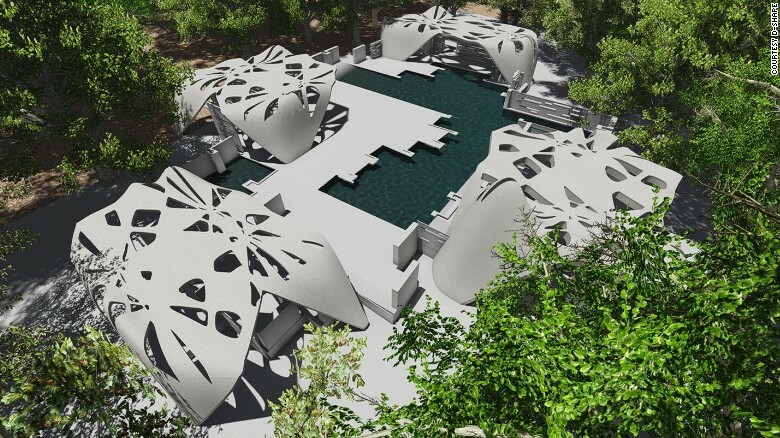 The manufacturers say that it took about a month and a half to build, with the 3D printing process taking about 5 full days. Unlike the Strati car though, the interior of this one is not 3D printed, nor does this vehicle compete with Local Motors when it comes to aesthetics. 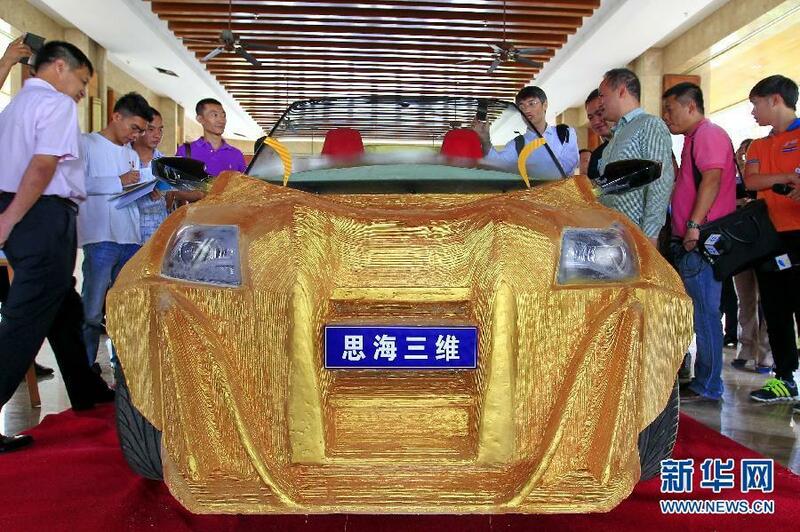 Printed in a “Tyrant Gold” filament, the car used an astounding 500kg of filament in the 3D printing process. 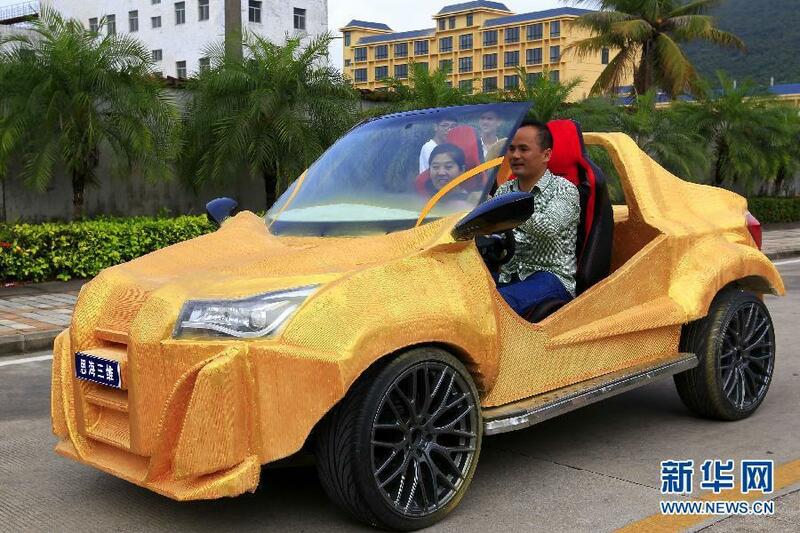 In total, including 1000 yuan for electricity and labor, the car cost about 11,000 yuan ($1770) to build. 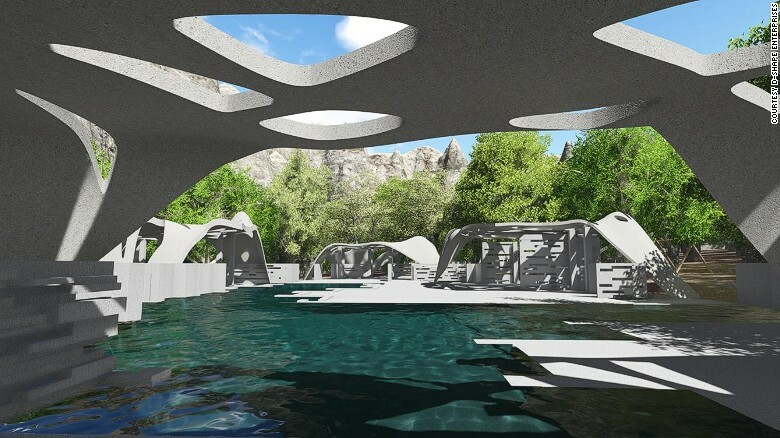 The 3D printed body itself, is estimated to have cost about 10 yuan per KG of material, meaning it costs the manufacturer about 5000 yuan ($805) to fabricate. 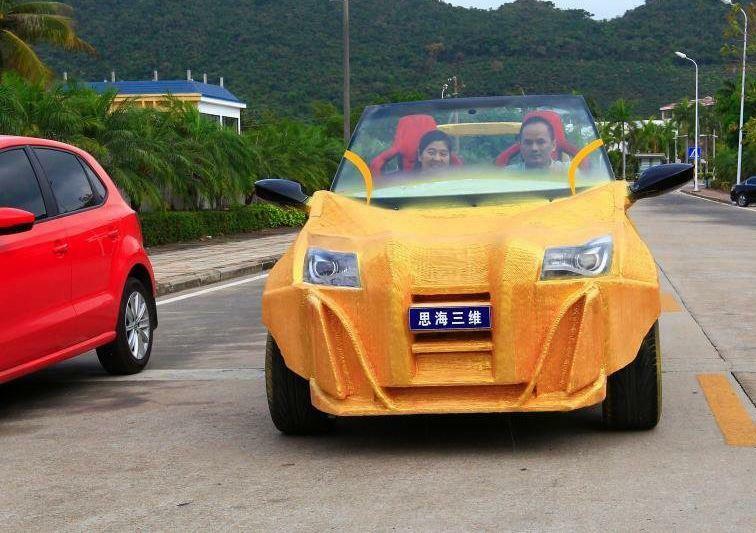 This “Tyrant Gold” car can seat two, and travel at speeds of up to 40km/h (25 MPH). 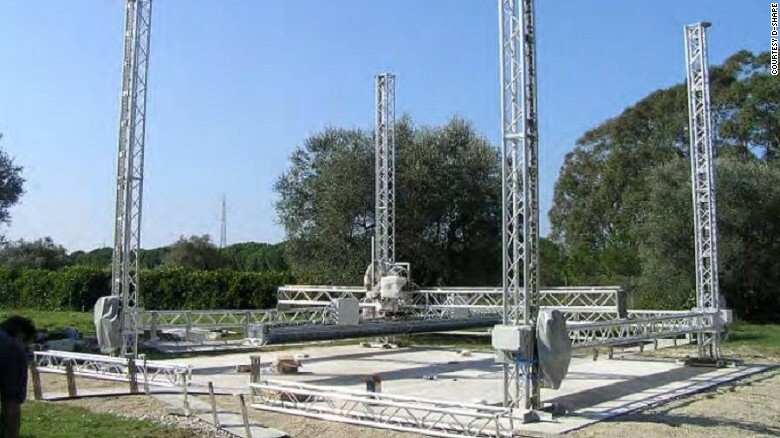 It measures 3.6-meters long (11.9ft) and 1.63-meters (5.5ft) wide. 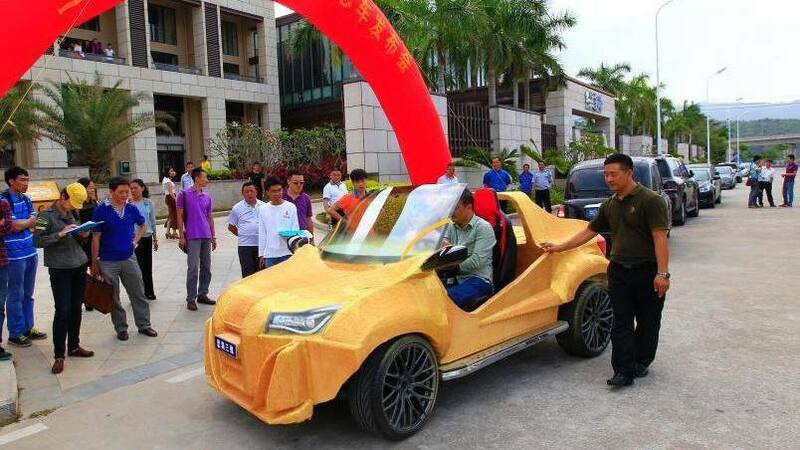 Obviously, this is a great accomplishment for the Chinese based company, but it doesn’t come close to competing with what Local Motors has done or continues to do with their vehicles. 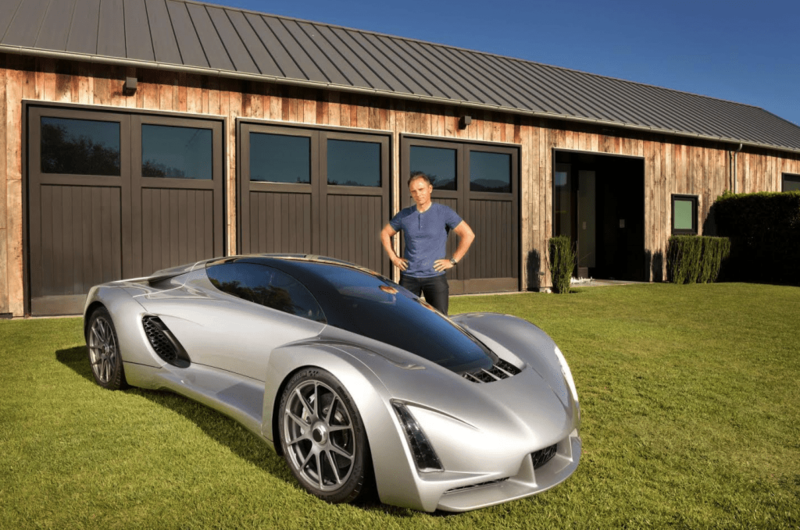 Not only does the Strati look better, and go faster (40 MPH), but it is also able to be 3D printed in just 44 hours, compared to this car which took 5 days to complete. 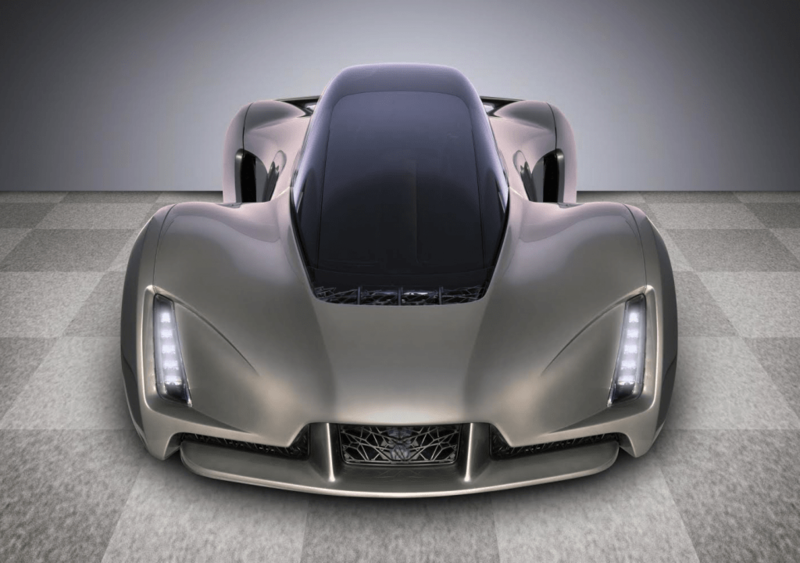 The Strati also features many more 3D printed parts, other than just the car’s body, including its seats and chassis. It should be interesting to see how quickly Sanya Sihai is able to develop this car further, and if they will actually mass produce these vehicles in the future. 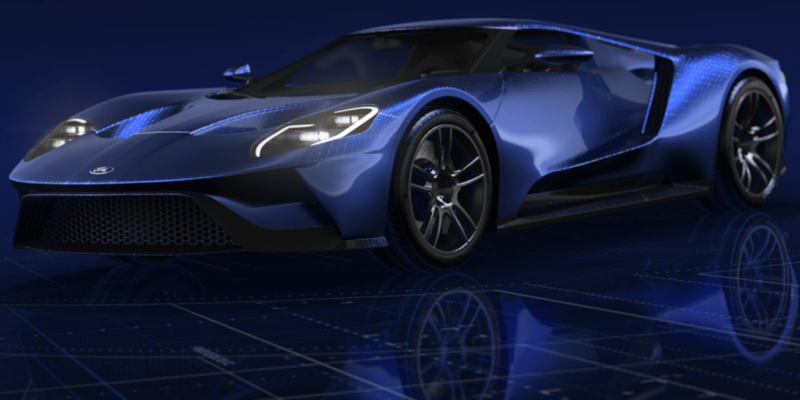 While Local Motors remains leaps and bounds ahead of them as far as 3D printed car manufacturing goes, it should be interesting to see how serious they are about creating their 3D printed vehicles. 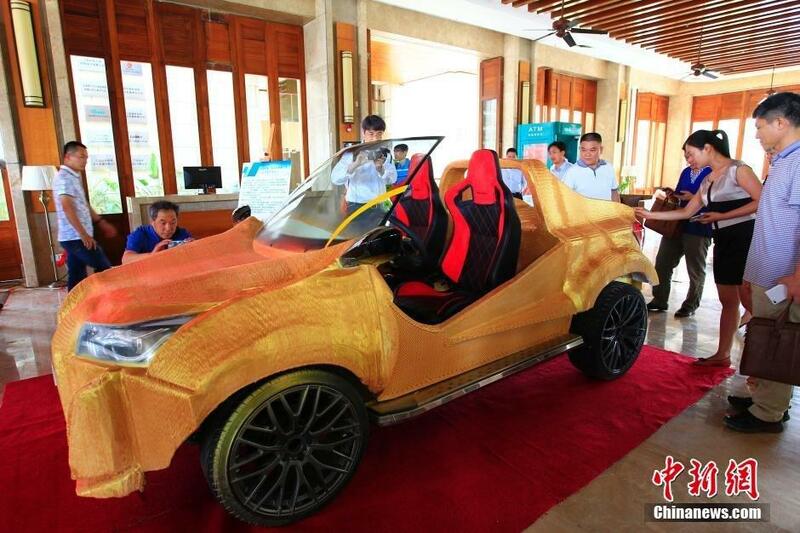 What do you think about this 3D printed car? 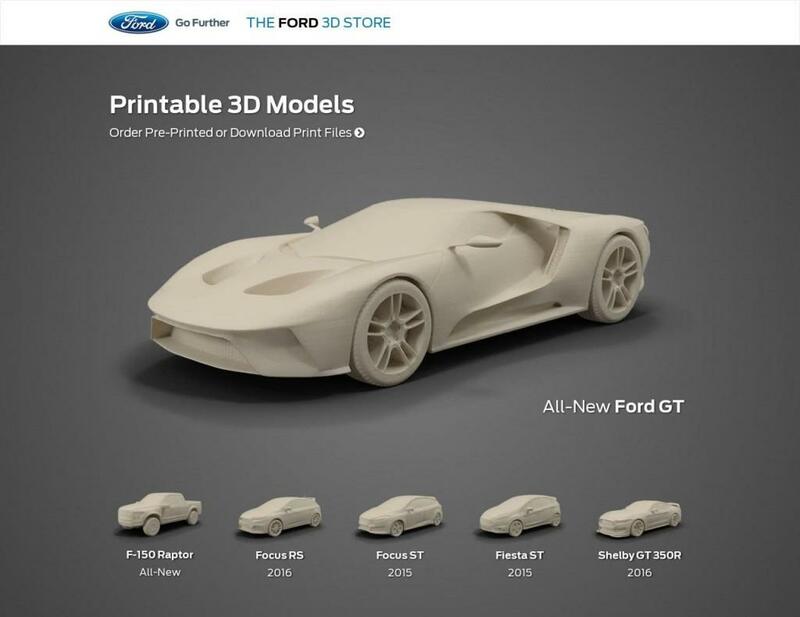 Discuss in the Chinese 3D Printed Car forum thread on 3DPB.com.